Commercial Interior Décor — particularly the floor covering — is one of the first ways customers form an image of any commercial enterprise. That’s why designers, specifiers, and other building professionals know it’s important to choose the right product. 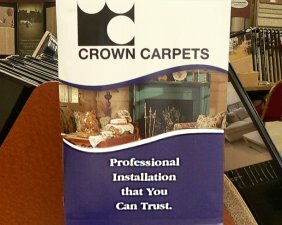 Choice is the hallmark of Crown Commercial Sales, a contract and brokerage service committed to providing the largest choice of commercial and residential floor coverings in the region, as well as the most complete range of “value added” services offered anywhere. “Nobody maintains a facility of this magnitude anymore,” says President Doug Lepper, as he shows off the impressive showroom, contract product library, large warehouse, and sample storage loft. 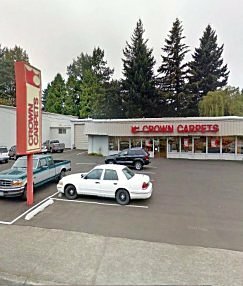 So, then, why does Crown Commercial Sales? 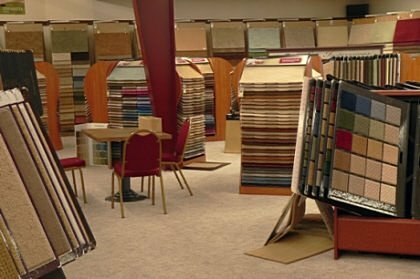 “We understand that we’re selling more than just floor covering,” Lepper says. “We’re helping our customers make a design statement, and to show a broad range of commercial and residential products that help toward that end, a large showroom and library are necessary. But the best materials in the world won’t look right on the floor if improperly transported, stored, and installed. Crown maintains it’s own trucks, warehouses, and installation staff so as to guarantee the excellence of the finished project.” No matter what the statement, Crown can help make it. The company deals directly with a whole host of manufacturers, and can provide the ideal floor covering for virtually any use — offices, stores, hospitals and health care facilities, assisted living centers, schools, churches, banks, industrial space, and single and multi-family housing.